Not all non-human animal dads are cut out for family life, but there are a number of species who have become known for their role as fathers who deserve a salute, from giant water bugs who carry dozens of eggs on their backs to males who actually get pregnant and dads who operate solo as single parents. This Father’s Day, it’s time to celebrate some of the amazing dads from the animal kingdom who go above and beyond when it comes raising and protecting their young. 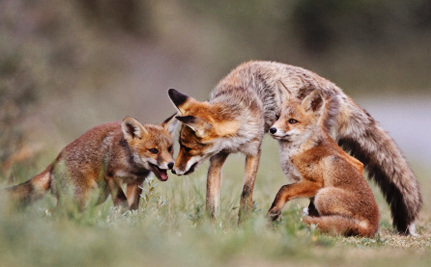 Male red foxes aren’t just loving mates, but excited and protective fathers. They take on the task of providing food for their mates every few hours for about a month after she gives birth. Then they take on the role of teacher – but teachers who like to take time out to play. 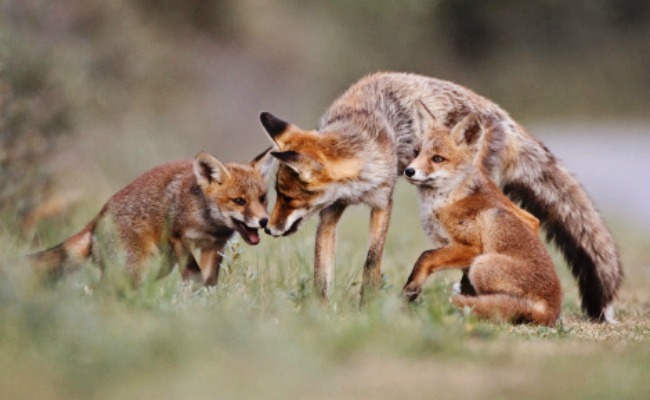 Even when it’s time to get serious and teach their young how to start finding their own food, fox dads help them out and make sure they don’t really go hungry by hiding it near their dens. 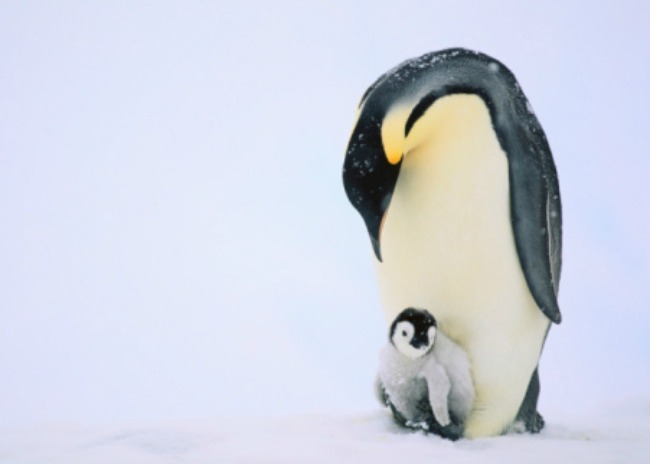 After females lay a single precious egg, Emperor penguin dads take over the responsibility of incubating it by balancing it precariously on their feet and keeping it warm under their feathers in the frigid Antarctic weather while mothers go off to feed. Dads can go for about two months without eating until the egg hatches, at which point he will feed it before mother’s return to give them a break from baby-duty. Seahorses, who are also known to mate for life, have reverse roles; the females compete for males, and the males don’t just play a role in pregnancy, but actually get pregnant. Females deposit their eggs in the male’s pouch, where he fertilizes and carries them until tiny baby seahorses emerge fully developed. 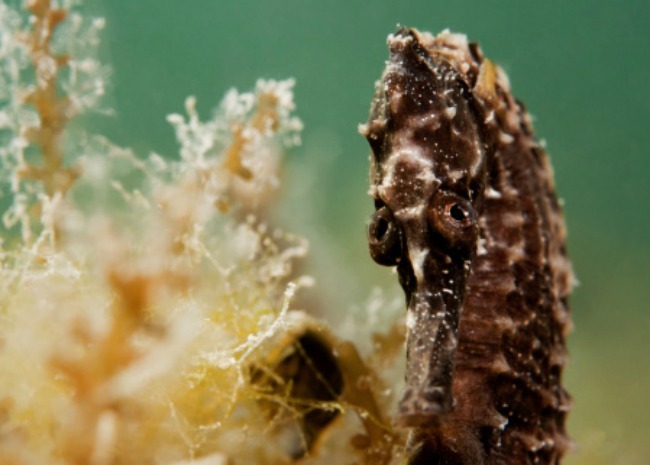 According to Science Daily, the process of male pregnancy is unique to the fish family Syngnathidae, which also includes pipefish and sea dragons. 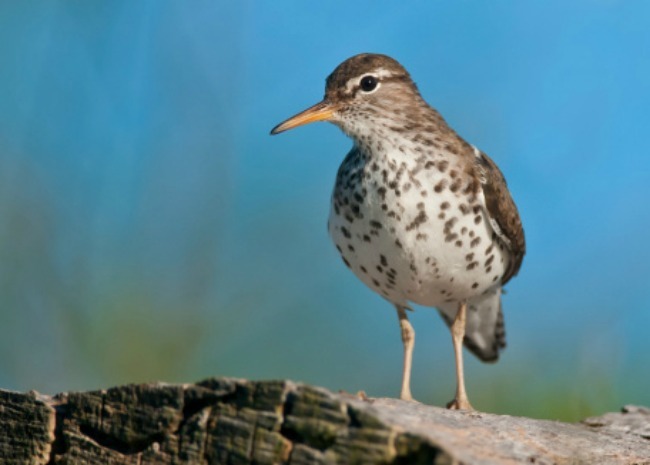 It doesn’t happen every time, but sandpipers have been found to reverse roles where female sandpipers establish and defend territory, while taking on multiple male partners. After luring a male to mate with and laying her eggs, she takes off to find another mate. Dad meanwhile stays to incubate the eggs and becomes the primary caregiver for the young for the first few weeks of their lives. 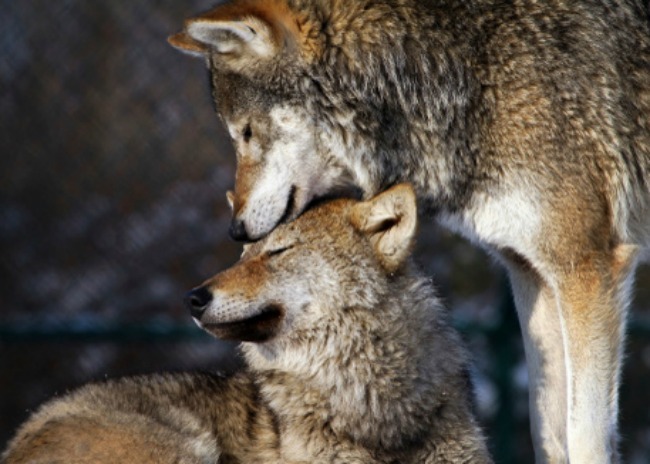 Despite the myths surrounding wolves that make them out to be villains, alpha male are loving, loyal and protective mates, fathers and leaders. Also known to mate for life, males who breed will guard their partners and pups while they’re in the den and take on the responsibility of finding everyone food. Even as pups grow older, dads will take on the role of teacher, helping them learn their role in the pack and the world. 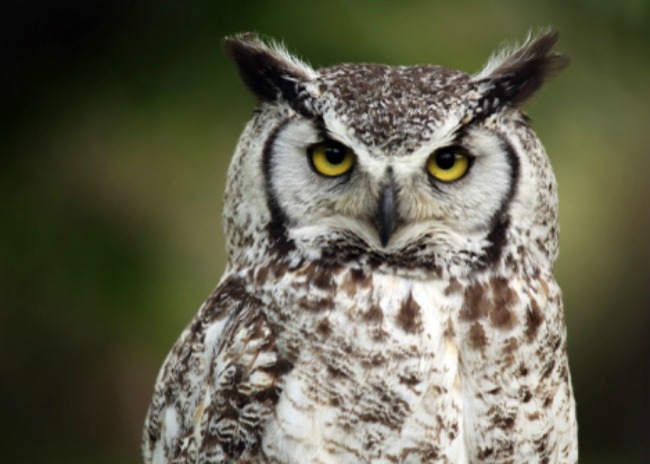 Great horned owl dads are the stereotypical breadwinners in their families. After finding the perfect home with their mates, male great horned owls take on the role of provider by hunting enough to feed himself and his mate, who is bigger than he is, before taking on the added responsibility of hunting for their young when they hatch. 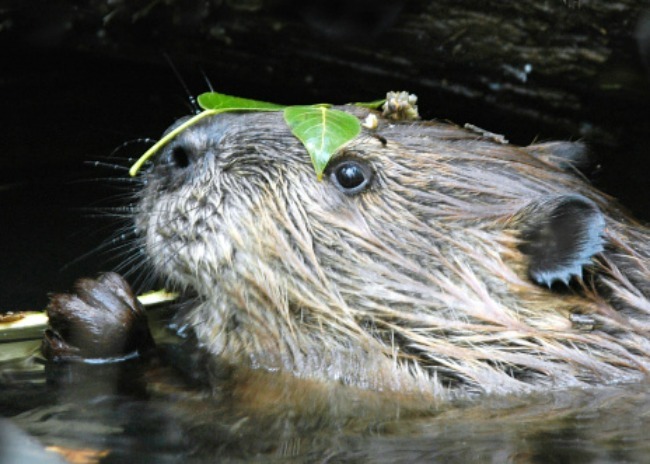 Beaver dads are devoted family men, handymen and providers in the animal world. They mate for life and take on a co-parenting role in raising their young until they’re about 2-years-old, while helping care for them and teaching them how to become successful ecosystem engineers before they go off and start families of their own. In 2012, a beaver in Martinez, Calif., known as “Dad” raised fears about what would happen to his young after his mate died from an infection, but he showed us he could do it all as a single father of three. 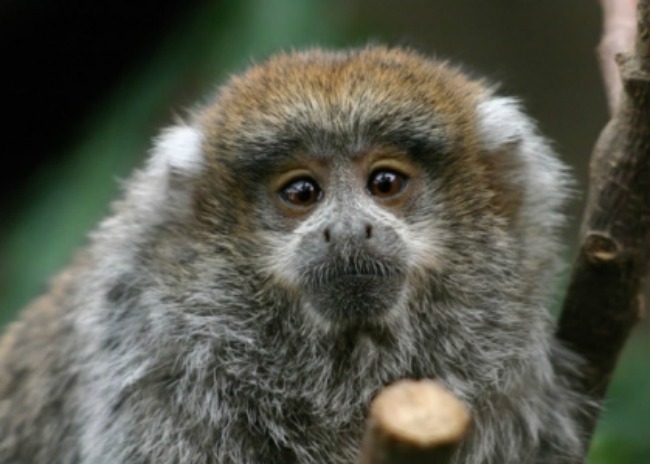 Male titi monkeys, who are known for monogamous relationships, are also known for the strong bond they build with their young as primary caregivers. Except for time spent with mom nursing, babies spend the rest of their time being carried around, cared for and protected by their fathers for the first few months of their lives. 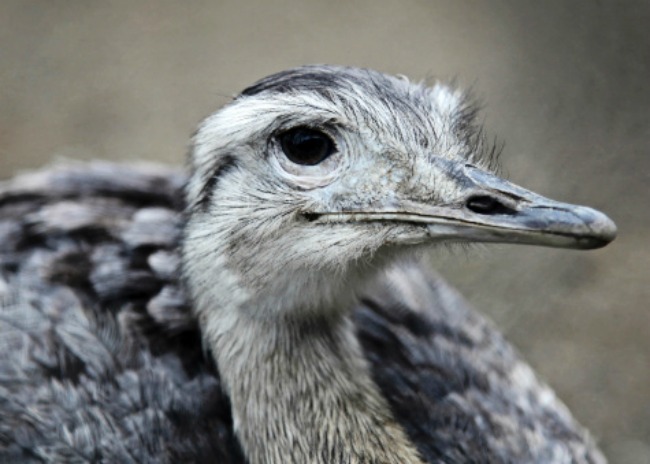 As members of a polygamous species, male rheas have a lot of partners, but when it comes to child-rearing these dads pull their weight and then some. Males can have up to a dozen or so female partners who all lay eggs in a nest he builds before they leave. Males then take on the role of incubating and guarding what can be more than 50 eggs for close to two months before taking on the role of a single parent after they hatch. Males have also been known to adopt orphaned chicks who have been separated from their brood. Darwin’s frog dads, who are native to South America, have come up with a neat and bizarre way to protect their offspring from predators. While they breed like other amphibians, where females lay eggs in the water that are fertilized by males, the males of this species take the fertilized eggs into their mouths, store them in their vocal sacs and keep them there until they’re fully developed frogs — at which point he throws them up.